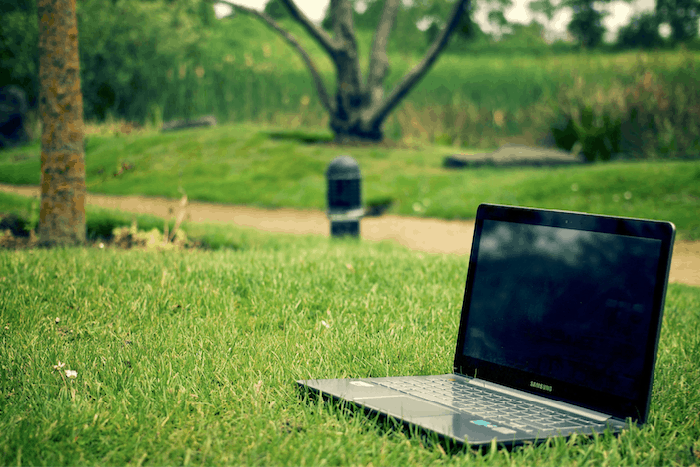 Get away from the 9-to-5 and embrace the world as your new “office” with a location independent business. A lot of people get stuck in a rut because they fail to see the potential that lies beyond the horizon. Whether it’s sticking with a job you hate or staying in a country you believe has taken away all of your freedoms, it’s easy to justify things by saying “it can’t get any better” — even if you believe it can. Despite all the technological advances of recent years, most people still do things the old fashioned way. Go to school, go to college, get a job in a cubicle, pray you get promoted, work the same hours as the rest of the world, shuffle papers, and retire with a dream to see the world and finally kick back. But it doesn’t always work that way. Lifestyle design experts have written about ways to do what you want now rather than hoping you’ll get to that some day in some distant future. You just need the economic means to do it. After all, you can open all the offshore bank accounts you want, but you’ll be a rat on the sinking ship at home if you don’t have the financial means to support yourself living in another country when that day comes. A little extra initiative can not only help you escape the 9-to-5, but also escape the limitations of a government that doesn’t respect your privacy and bases your freedom on the taxes you pay. Between visiting dozens of countries to get the scoop on investment, business, expat opportunities, my travels allow me to spend time relaxing in some of the most beautiful places on earth. Imagine strolling out of your hotel or apartment every morning, taking a pleasant walk to the market, and getting some of the freshest guava juice you’ve ever tasted — all for about $0.25. Or picture taking the afternoon off to shop in one of the world’s best shopping districts, knowing your household chores are taken care of. Lots of folks, myself included, have been designing our ideal lifestyle long before doing so became vogue. As an entrepreneur, I’ve never wanted to depend on anyone else for a living, let alone a raise. College bored me to tears until I couldn’t take it any more. As someone who values freedom, I like setting my own schedule and determining just how much money I want to make based on my life goals at the time. The key to doing this is to have a location independent business. It’s the impetus for your to get out of dodge and find more freedom in every aspect of your life. Unlike your ancestors, if you want to call your own shots, you have no excuse not to become a global entrepreneur. I’ve managed large start-ups working an hour or two a day from my hotel room in Vienna or a cafe in Hong Kong. There’s no reason you can’t, too. 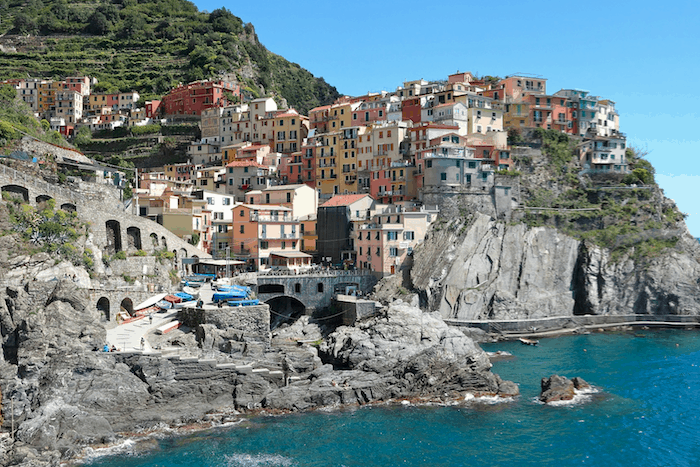 Italy’s Cinque Terre: not a bad place to be running your location independent business. Tim Ferriss, in his book “The Four Hour Workweek”, talks about the concept of creating a “muse”, a location-independent income source. The idea is that, before quitting your job, you build a side income source that can be automated. Creating a muse involves creating a product you can test online. If it sells, you simply roll it out. The benefit of a location independent business is that you’re obviously not dependent on your local market to sell your wares. It forces you to get out of your comfort zone and think globally, rather than dogmatically. Realize that anyone in the world could be your potential customer. 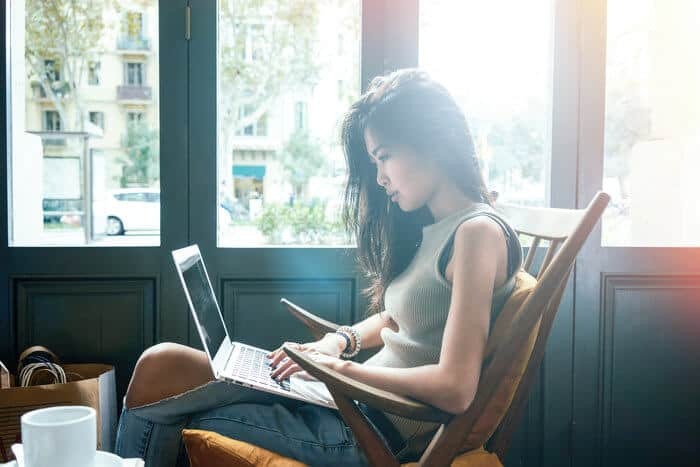 These days, you don’t even need to know anything about online selling or computers to have a successful location independent business. Online entrepreneur Johnny Ward, who has traveled to 100 countries by now, explained that he had little practical computer skills when he built his online businesses. If you have a passion and a vision, you can use sites like oDesk and Elance to outsource the parts you don’t understand. Geoarbitrage, the process of achieving lower costs by offshoring projects, is your friend when it comes to building your muse on the cheap. Like anything, building a business takes time, but anything worth having always has. The time I spent watching the waves lap up against the rocky cliffs and beaches of Italy’s Cinque Terre or Hong Kong’s hidden beaches has been all the more worth it because of the accomplishments that got me there. While Tim Ferriss makes some great points about unemotionally testing a product online, I also believe passion is a key ingredient behind any successful business. I also believe that, while automation is great, it feels good to be involved with your business on an ongoing basis — even if it’s only doing the parts you like. Many of my expat friends have sustained themselves while living overseas by working as digital nomads. By creating an ongoing product like a blog, they build a larger and larger following over time. It’s the perfect way to showcase your passion. Outside of the boring cubicle, there’s something you’re passionate about. Why not take the time now to start writing about it? Start a test blog and share your thoughts when you have time. Do a little research on internet tools and attract a few followers. Then, use their feedback to build a better, more permanent website for the same audience. As you build an audience, you can create products and services to help your followers learn more about your passion. I have a friend who spent her life working with children with developmental disorders, she now runs a small business coaching people around the world on how to help kids on their own. Another friend writes about comedy as a way to promote comedy tours and to sell tickets. Even for the average person, you’ll be able to earn greater amounts from your location independent business than you probably thought possible. I know people who offer various services who are making six figures a month — some of them a million dollars a year — by offering consulting, mentoring and coaching through a location independent businesses. There are plenty of great resources out there to help you get started building your own location independent business. Tim Ferriss’s books and blog provide a wealth of information; Chris Guillebeau’s book The $100 Startup is a great resource to get you out of the excuse-making zone of saying you can’t afford to build your own business freedom; and Pete Sisco is an experienced expert at helping people build online businesses. 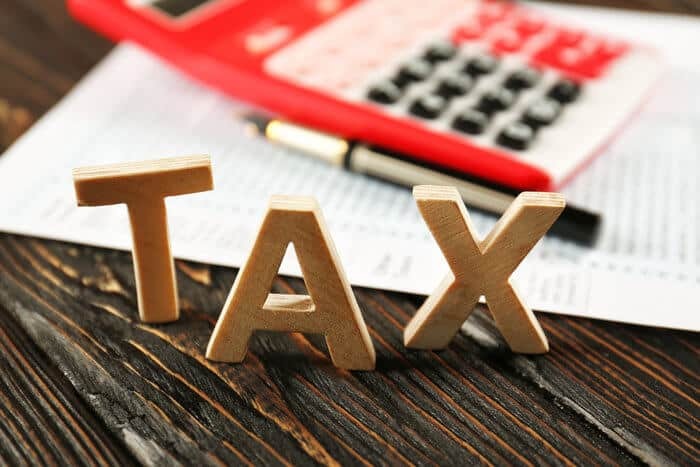 Once your business grows, you’ll want to avail yourself of the tools we talk about here, from an offshore corporation to an offshore address and more. In fact, having a location independent business is the most important precursor to crucial tool of investing overseas. When I first started traveling, I had basically “retired” for the time being. While I was investing, one of the things that kept me from investing as much as I should have was not having income coming in every month. It was only when I started developing businesses like Nomad Capitalist and others that felt the comfort to really go out and go super gung-ho. Once I had that income coming in on a continual basis, I had the freedom to make investments that I never would have made before because I was too focused on maximizing the value of the assets I already had. I have found that it is the same for the individuals I have helped over the years. 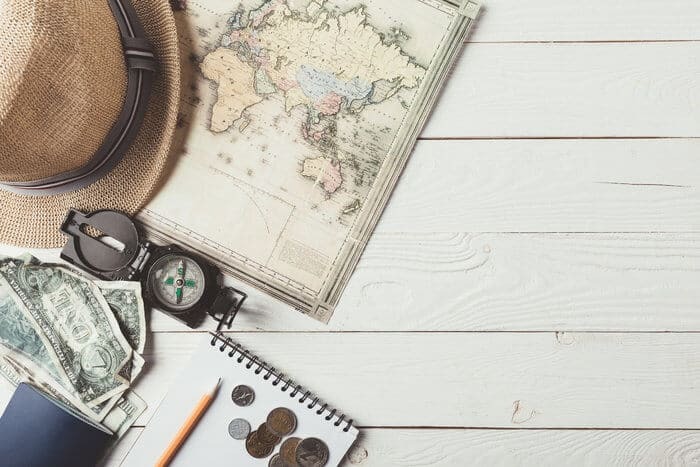 For example, certain clients will always focus on doing one more deal where they’re living before going overseas, simply because they don’t feel comfortable enough with the cash on hand to go somewhere else. That mentality holds people back from living the life that they want. If you don’t feel comfortable investing with the assets that you have right now, the antidote is having a location independent business that is throwing off cash. Think big and you will be able to bring in an income that you can not only to live on, but also put toward your investments. In the end, you can’t truly build an escape hatch from the madness in your own country — or the madness of your office — if you can’t earn money anywhere in the world and on your own terms. Fortunately, today’s environment makes it so that almost anyone can set their own schedule and earn money from anywhere in the world.